CRITEX : why and how? 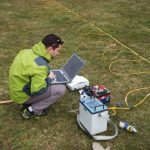 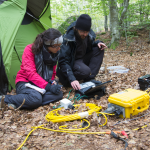 Applied geophysics is now a recognized discipline to characterize the critical zone and capture flux and transport processes. 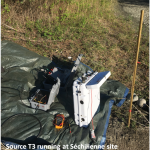 New methodological developments are lead to exploit the full wealth of seismic records (WP6.1), a magnetic resonance sounding (MRS) package includes both a high-resolution surface instrument and a prototype to work in the unsaturated zone (WP6.2). 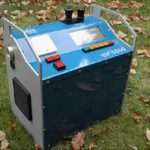 Finally, more classical systems are deployed on the field, such as electric and electromagnetic devices for 2D tomography and cartography (WP6.3), temporal and spectral induced polarization (WP6.4) and controleld-source Audio-Magneto-Telluric (CS-AMT, WP6.5).